1. 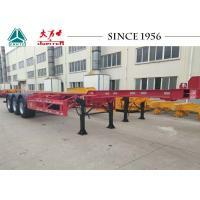 It’s optional to use foreign and domestic high-tensile steel and customized sectional materials, to reduce tare weight and promote transport efficiency..
2. The main parts of the skeleton trailer are produced by advanced equipment. 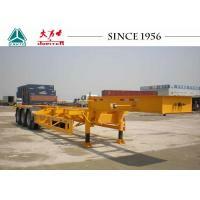 The longitudinal beams are welded by imported fully automatic tracking submerged arc welding machine. 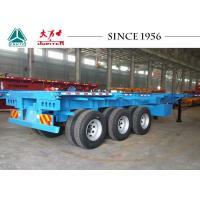 It can keep a stronger and longer life span trailer body. 3. 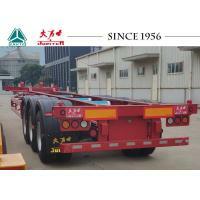 The suspension system of skeleton trailer will be designed on the strengthening device, which can greatly improve the torsional performance of the container and to prolong service life. 4. The tie rod angle of the system is reasonably designed to reduce the instant friction between tire and ground and the abnormal tire wear during the frequent operations. 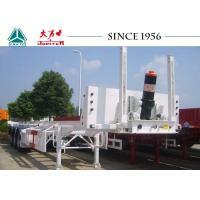 Use for carry 20 FT container, 40FT container and tank container. 1. 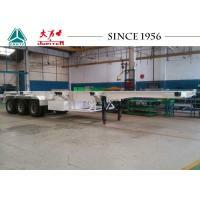 More than 30 years experiences in trailer and truck industrial,exported to more than 30 countries in Africa,Southeast Asia. 2. Two years free warranty terms for the I beam,three to six month free warranty terms for the Axles,suspension etc. 4. 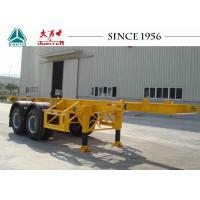 Able to custom-built design as your requirment,ensure to meet your local road regulation. 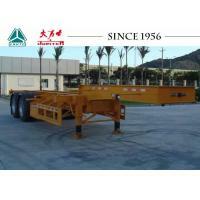 Founded in 1956, Ji' nan General Auto Works Plant, the predecessor of China National Heavy Duty Truck Group Co., Ltd. (SINOTRUK), is the cradle of China's heavy-duty truck industry. 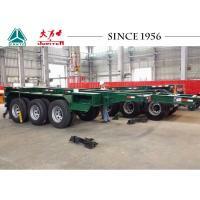 It is China's first enterprise that introduced heavy truck manufacturing technology from abroad to all-round manner. Since after the reform and restructuring, we have persisted in independent innovation, Vigorously implemented the strategy of leading in technology and built core Competitiveness with independent intellectual property, thus becoming an enterprise with the most patents in China's auto industry. With overwhelming superiority in technology and market in the heavy-duty truck industry, we have achieved substantial sales at home and abroad, thus being accredited as a national vehicle export base by the National Development and Reform Commission and the Ministry of Commerce. Adhere to the value of "CREATING THE HIGH-QUALITY PRODUCTS WITH MORALITY; CONTRIBUTING TO THE SOCIETY WITH EXQUISITE PRODUCTS" ,we will spare no efforts to dedicate ourselves to meet the satisfaction and benefit of our customers, The best-quality products and the strongest are always guaranteed to all of our clients and partners. 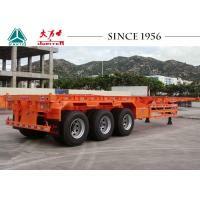 So far, the HOWO truck and trailer(Tractor Truck, Tipper Truck, Flatbed Trailer, Fuel Tanker Trailer, Cement Trailer etc.) have exported more than 90 countries in Africa, Southeast Asia, South America, Middle East Like Philippines, Ethiopia, Kenya, Tanzania, Malawi, South Africa, Mozambique, Zambia, Congo, Gabon, Algeria, Madagascar, Pakistan, Nigeria, Saudi Arabia, Oman etc.